Today at 10 a.m. EST, the World Cup will officially open, as Mexico kicks off against South Africa – and for the first time in the competition’s 80-year history, the event will be held in Africa. Crowds will be insanely excited and across the world, over 1 billion people will be getting up early and staying up late to watch the superstars of football and extol the brilliance of their fluid grace. Elsewhere in Africa — in Kenya, Uganda and Mozambique — some other superstars will be hitting the field, watched only by their amazed mothers and perhaps a few of their doubting neighbors. Leaning on a crutch for balance, or scooting around a persistent defender on their hands, they will throw themselves into game with joy and abandon, and step off the field, no matter what the score, sweaty and victorious. This inspiring scenario is brought to you by APAID, an international organization whose mission is to enhance the quality of life for people with physical and intellectual disabilities in the developing world by using adapted physical sport to allow them to become aware of, strengthen and show their abilities –in other words, to strut their stuff. 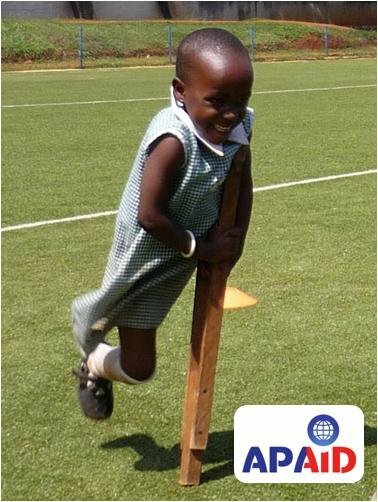 Sport is not only a cost-effective means of physical rehabilitation for the disabled, it increases self-confidence, a sense of what is possible, and social interaction – while proving to the community at large that an inclusive, empowering society benefits everyone. 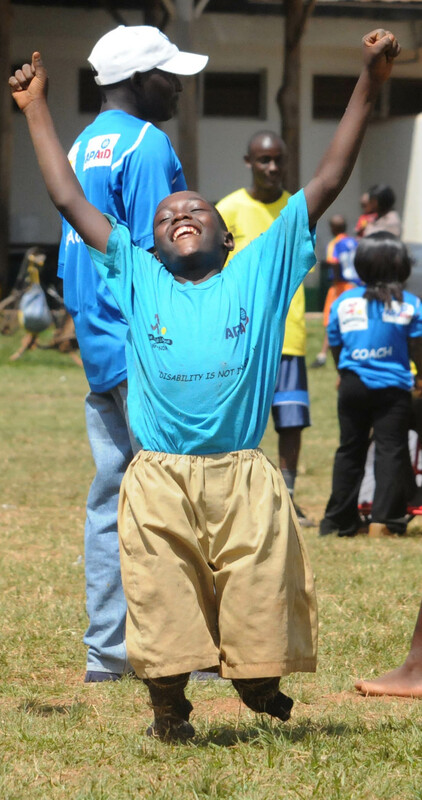 APAID works with established local and international organizations to implement adapted sports programs – planning strategy, training coaches, and creating capacity-building programs that will be sustainable for developing communities. And it uses research conducted with Stanford University and University of Paris X to constantly monitor and evaluate its projects. 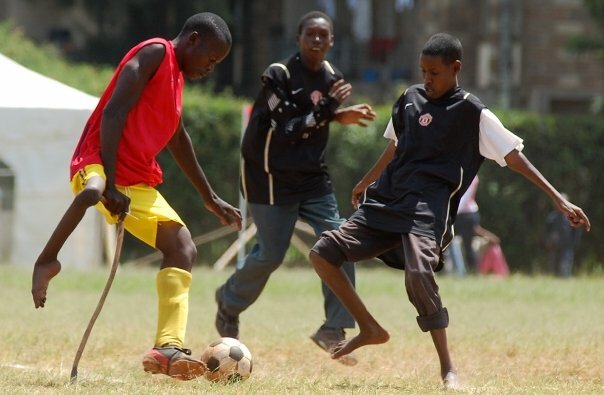 APAID’s medium is sport, but the message is a constant emphasis on the rights of people with disabilities, who at 650 million people constitute the world’s largest minority — 80% of them living in developing countries where they face discrimination in education, employment, and social interaction. 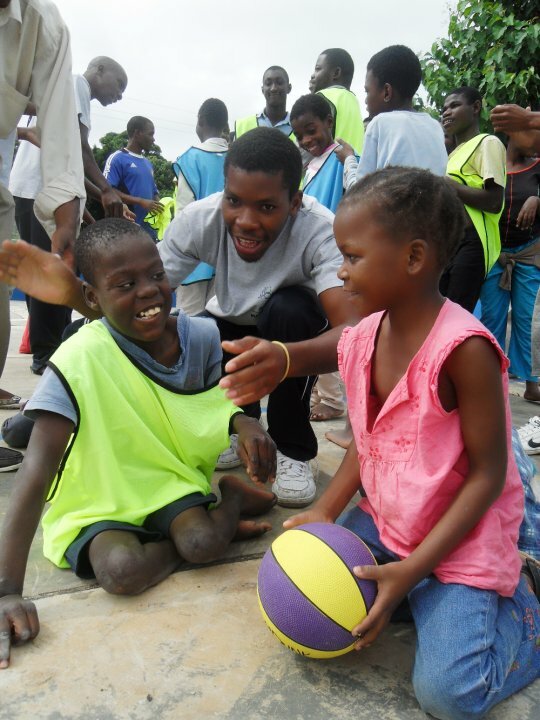 APAID offers the disabled a passport into full participation, independence and inclusion – be it through soccer, basketball, badminton or boccie. What’s important is to play! 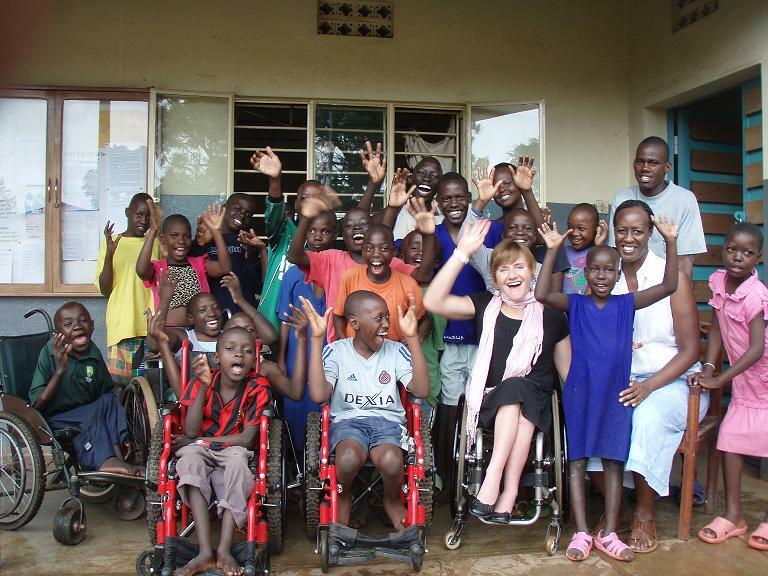 APAID is the abiding passion of co-founders Pierre Bataille and Steffi de Jong who visited South Africa, saw the townships, and realized their graduate degrees in Adapated Physical Activity could change the world for disabled people living in poverty. “I had a choice — I could pretend I just didn’t see the suffering, or I could use my knowledge in APA to create positive change,” Bataille says. He chose the latter — and in 2008, founded APAID (or Playable, as it’s now to be called). Today, as the World Cup kicks off, Bataille will be in training in Boulder, Colorado – attending the social venture incubator at the Unreasonable Institute where he’ll be learning how to take his team to global heights on behalf of the disabled. What an awesome goal!